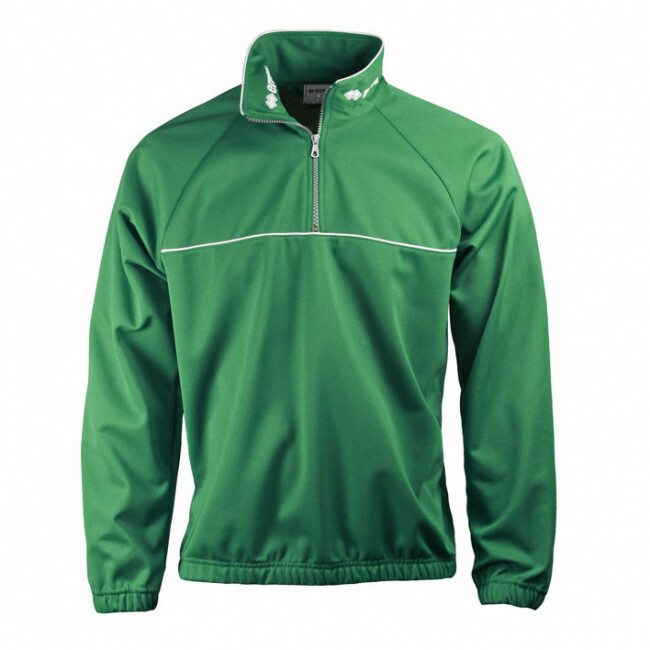 Half-zip solid colour jacket for men with contrasting piping. Elasticated sleeve cuffs and waistband. Available in a variety of colours. Contrasting zipper. No pockets. The Special Pro training jacket for men by Erreà has the same features offered by the Franklin line: lightweight and windproof, it is made in a very soft and breathable fabric, which is also extremely gentle on your skin. This garment too features a turtle neck and zipper closure to guarantee comfort and protection at all times. This jacket will perfectly match your dressing style, whether you like comfortable, wide-fitting or snug-fitting clothing.